I can’t believe it, either, but we seem to be already at that point in the month when I start by telling you that we’re hard at work finishing off the next issue of Uncut, buffeted by deadlines, flinching at the hungry caw of our steely-eyed taskmasters on the production desk, greedy for final copy as the last pages are put together to be sent to the printers. It was for other reasons a lively week. Last Monday, for instance, I was at The Borderline for a great show by Dawes, which I reviewed for uncut.co.uk. I was in a bit of a rush when I wrote it and didn’t have time to mention their support act, Robert Ellis, a young Houston-based singer-songwriter. Ellis has a new album out on New West, called Photographs, that’s worth looking out for, especially if you’re a fan of, say, Dylan LeBlanc’s Pauper’s Field. Most of what he played was from the record, including the lovely “Westbound Train”. Highlight of his set, though, was a version of Randy Newman’s “Rider In The Rain”, when he was joined by the guys from Dawes and raised a little more hell than had been the case so far. Most of the rest of the week was spent listening to and reviewing All Through The City, the new Dr Feelgood box set, long overdue, which brings together their first four albums, a CD of unreleased demos, alternative versions, out-takes and live tracks and a DVD, pulled together from a variety of TV appearances and live sets from shows at the Southend Kursaal and the Kuusrock festival in Finland. I spent an entertaining 45 minutes on the phone last Friday afternoon with the band’s original guitarist, Wilko Johnson, for a Q&A to run alongside the review, reminiscing about the great days of the Feelgoods, before Wilko’s famous falling out with vocalist Lee Brilleaux which led to him leaving the group. All these years on, touchingly, Wilko still sounded somewhat baffled by the turn of events that led to his departure, his regret at the ways things turned out clearly evident. Even more excitement was caused in the office, however, by the arrival of the new Dexys’ album, One Day I’m Going To Soar, which is out in June. It’s 27 years since they last released an album, so anticipation was verging on the feverish. The good news is that on first listen, it lived up to every expectation, Kevin Rowland sounding in every respect as arresting as ever. Is anyone else as excited as us by this unexpected comeback? Before I go, there are a few other new records I’ve been listening to that are also worth checking out, including Alabama Shakes’ Boys & Girls and Fear Fun, by Father John Misty, who’s better known as Josh Tillman, who until recently was drummer with Fleet Foxes. If you liked Jonathan Wilson’s Gentle Spirit, you’ll be into this in a big way. Also, keep an eye out for a record called The Place I Left Behind, by The Deep Dark Woods, a Canadian band from far-off Saskatoon. Stand out track “The Banks Of The Leopold Canal” carries particularly evocative echoes of The Band’s last great song, “Acadian Driftwood”, from Northern Lights – Southern Cross. 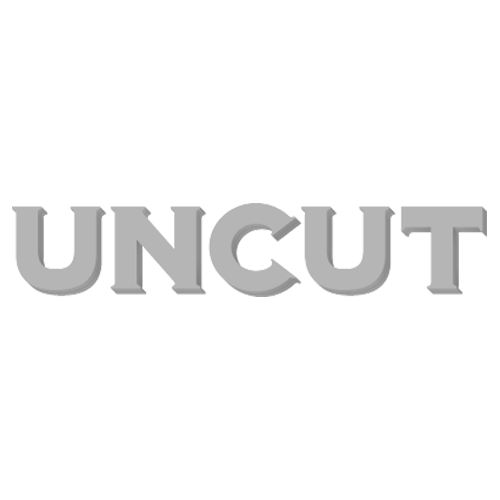 Please fill in our quick survey about the relaunched Uncut – and you could win a 12 month subscription to the magazine. Click here to see the survey. Thanks!